Okay season has started for lots of us. Yours truly was on court twice last weekend and had to give his first Disqualifying foul in like 12 years. But the game is on! That means we need to up our game. No more freeweeling like perhaps in preseason sometimes is the case. It’s time YOU make the call! My name is Imad Driouach, i am from Morocco and i’m a national basket-ball referee in the same country. Please i need your help about how can i register in your university for studying basketball refereeing?? Good to have you tho! 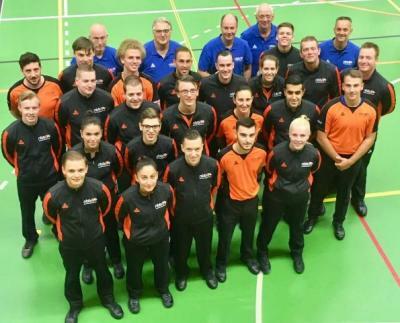 Volgende Volgend bericht: Making life easier on referees!